After having a monster first half of 2014, Oceans Reefs & Aquariums has been a bit quiet on virtually all fronts. A bit too quiet if you ask us. Sure, they’ve made a few appearances at pet related shows, but after several solid months of new product announcements, they went dead silent. Thankfully, they’ve been busy behind the scenes. 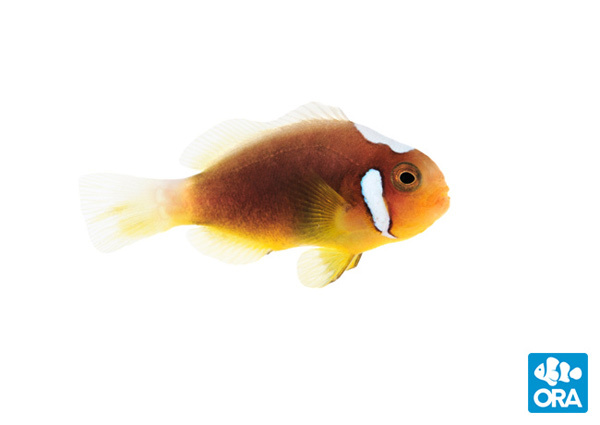 The aquaculture specialists out of Florida have been working really hard, in fact, and are finally debuting their ORA White Bonnet Clownfish, Amphiprion leucokranos. And like most of the livestock in their arsenal, this fish has a really interesting story. As we documented way back in February 2012, ORA originally obtained their A. leucokranos from the crew at Ocean Gallery II, though the acquisition almost ended in total disaster. To sum what has already been said more than a few times, the fish got stuck at a shipping facility due to a label that had fallen off. Employees of the facility placed the box in their lost and found, eventually opening it up to determine what it may contain. 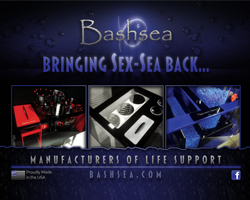 After finding live fish, they contacted a local store, who not only took possession of the fish but also sold them. After ORA somehow miraculously found out about the ordeal, they tracked down the fish and were able to convince the new owner to let them take them the fish. Fast forward almost three years, and ORA was able to coax the fish into spawning, resulting in the news you see today. 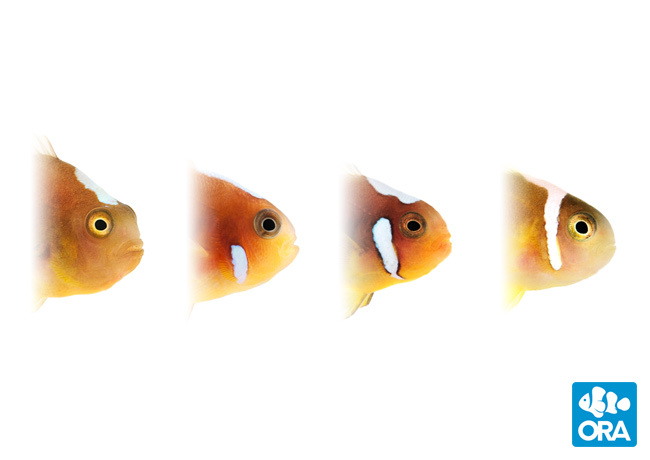 AA Grade White Bonnet Clownfish will retain all the features of an idealized wild caught specimen. Complete white head bonnet with connected cheek straps. The premium version of this fish. From our broodstock pair, the male would be considered AA Grade. A Grade White Bonnet Clownfish will have broken or incomplete white head bonnets. Cheek stripes will reach at least the midpoint of the eye on one or both sides. From our broodstock pair, the female would be considered A Grade. Standard White Bonnet Clownfish will retain some quantity of white head stripe pattern. Cheek stripes, if present, will not rise above the midpoint of the eye.